The Seljuk period was undoubtedly one of the most intensively creative periods in the history of the Islamic world. 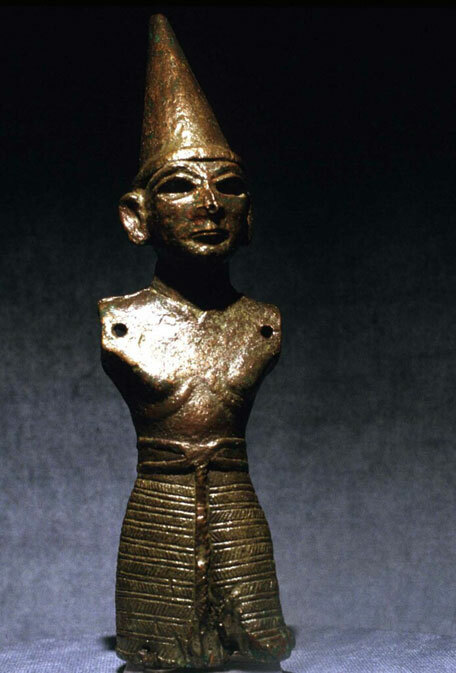 It displayed splendid achievements in every artistic field, with subtle differences from one region to the next. The Seljuk period in the history of art and architecture extended for about two centuries, from the Seljuk conquest in the second quarter of the 11th century to the establishment of the Ilkhanid dynasty in the second quarter of the 13th century. During this period, the center of power within the Islamic world shifted from the Arab territories to Anatolia and Iran, with the traditional centers now residing in the Seljuk capitals. Anatolia produced three great leaders in the world of humanism: Mevlana Celaleddin Rumi (1207-1273), Haci Bektas Veli (1210-1271) and Yunus Emre (1238-1320). Just half a century after these three leaders, the three great humanists of the west appeared: Dante (1265-1321), Petrarch (1304-1374) and Boccaccio (1313-1375). Participants in the small group are met by a Peten Travels staff member upon their arrival and walked to the internal terminal for the Ankara flight, transferred by our tour leader and checked into Cukurhan hotel. Guests meet one another along with the specialist over a welcome drink before sitting down to dinner. Enjoy the traditional breakfast and get ready for the lecture on the Selcuk Empire. After the famous battle of Manzikert and the defeat of the Byzantine army, Ankara came under Seljuk control. Today we first visit the Ahi Elvan Cami (the mosque of the Ahi brotherhood) a craft guild established in the late 13th century that had close associations with the dervish sects. 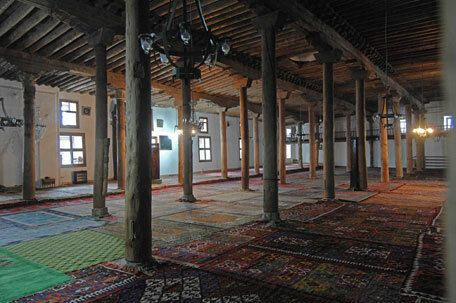 We next visit the Arslanhane Cami, this Seljuk mosque that has barely changed since its repair in 1289 by two brothers. The Ethnographic Museum of Ankara houses a collection of folk art and artifacts from various parts of Anatolia. Here we can see the beautiful carved door from the Alaeddin Cami, the throne of Keyhüsrev III and the sarcophagus of Ahi Şerafettin. Dinner is at an exclusive local restaurant. This morning first we visit the Ulu Cami of Afyon, a Seljuk wooden mosque that was erected in 1272 by Hasan Nusretüddin. It has a central nave flanked by aisles and a low ceiling supported by 40 wooden columns and then stop at the ateliers of the local handicraftsmen: felt maker, coppersmith, horse-shoe maker, tin maker, yemenici (a kind of light shoe maker), and blacksmith before we follow the ancient caravan route to the Lake District of Turkey. En route we visit the Taş Medrese (theology school) in Akşehir, built by the Seljuk vizier, Sahip Ata, in 1250. This building has three eyvan (antechambers) with its mescid open to the façade. The brick minaret has two balconies. A pleasant journey around the Beyşehir Lake leads us to the ruins of Alaeddin Keykubad’s fortified summer home, the Kubadabad Palace. Keykubad’s choice of this site for his summer palace was not accidental, as early Turkish rulers favored places overlooking large stretches of water. We stop at the town of Beyşehir to visit the Eşrefoğlu Cami, completed in 1299, which is one of the most refined examples of the Seljuk ‘wooden pillared mosques’. Its roof rests on wooden consoles supported by 48 wooden posts, the section over the nave being raised slightly like a gable. 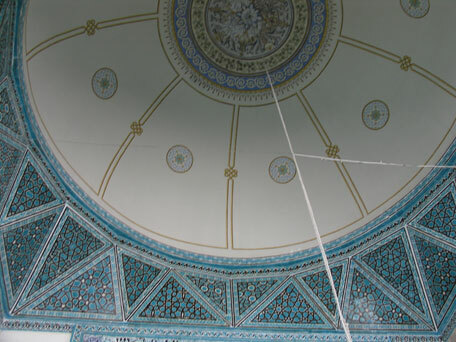 There is a brick dome over the mihrab. The spacious interior is divided into seven aisles. The high stone portal, the dark turquoise tiled mihrab and wooden member (pulpit) are outstanding. We have our dinner and overnight in Konya, the capital city of the Seljuk Empire. Today we explore the splendid Seljuk monuments of Konya on foot. First we visit the largest of the town’s Seljuk mosques, the Alaeddin Cami. Its construction was started in 1150 and completed 70 years later. The beautiful carved ebony pulpit, dating from 1155 is one of the finest examples of Seljuk art. To the north we see an octagonal türbe (monumental tomb) built by Alaeddin Keykubat and the decagonal türbe beside it contains the tomb of Kılıç Arslan II. A tower forming part of the defensive wall is the so-called Alaeddin Köşkü, ‘Alaeddin’s Kiosk’, and was used as a royal residence during the last years of Seljuk rule. We cross the road to the Büyük Karatay Medresesi (theological school), which is named after its founder, Celaleddin Karatay. According to the constitution of the medrese, students had to be selected from one of the four Sünni divisions of Islam and the scholar and his assistant from the Hanefi division. Another rule stated that study should be held every day except Tuesday and Friday. The medrese was completed in 1251 and now houses a magnificent collection of tiles and is particularly rich in specimens of the fine glazed faience that was used to decorate the interiors of buildings during the Seljuk era. Then we walk to the İnce Minare Medresesi, ‘Medrese of the Slender Minaret’. It is now the museum of stone and woodcarving. We visit the Sahip Ata Mosque dated from 1258, comprising a mescid, a türbe and a hamam. The türbe, which is decorated with mosaic tiles, contains the sarcophagi of the founder, his daughter, sons and grandsons. A passage leads to a vaulted burial chamber under the türbe. The Sırçalı Medrese, ‘Glazed Medrese’, was founded by Bedreddin Muhlis and it is also a museum, housing the tombstones from the Seljuk, Karamanid and Ottoman periods. We end the day at the Mevlana Tekke, which without a doubt is the most important monument in Konya. It contains the tombs of the mystic philosopher and theologian, Celaleddin-Rumi, who is better known as Mevlana, meaning ‘Lord’ in Arabic. Dinner and overnight stay is in Konya. This morning we shall again travel on the ancient caravan route to Kayseri (Caesarea). On the way we visit two splendid Seljuk caravanserais: Zazadin Han and Sultan Han. The Sultan Han caravanserai is the biggest of the Seljuk caravanserais and the most monumental. Alaeddin Keykubat I built it in 1229. The walls and roof are of cut stone, but the portal is entirely of marble with geometrical patterns. In the middle of the courtyard is a pavilion. We then drive via Ürgüp to Kayseri, another city that was a center of Seljuk art and culture. In the afternoon we visit the most striking of Kayseri’s many mausoleums, the Döner Kümbet which was built around 1276. It gets its name from a supposed resemblance to a turning spit. An inscription over the entrance states that it was erected for a Seljuk princess named Şah Cihan Hatun. On the outside there are 12 arches crowned by a conical roof. 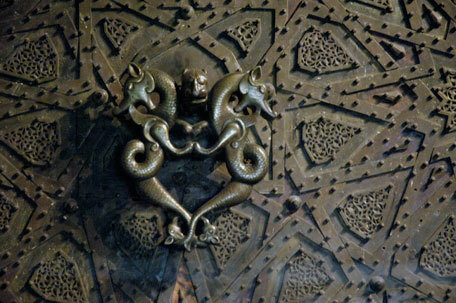 Its elaborate decoration includes the sacred tree, the double-headed eagle of the Seljuks, sphinxes and leopards. This morning we drive out of Kayseri to Agırnas to visit the birthplace of the great architect Sinan. We make our way to the Çifte Medrese, a Seljuk period teaching institution which contained a hospital and a medical school. The medical school was established in 1206 by Sultan Keyhüsrev I (1192-1210), while the hospital was founded by his sister, Gevher Nesibe. We next visit the Honat Hatun Külliye, the charitable and educational buildings surrounding a mosque dating from the early 13th century. The Honat Hatun Complex with its Medrese and mosque and their associated hamam (bath), çeşme (fountain) and türbe (tomb), form part of the first complex of its kind built by the Seljuks. This külliye was established by Honat Hatun, the Greek wife of Sultan Alaeddin Keykubat I. Her marble tomb is in a corner of the medrese. We end the day at the Hacı Kılıç Cami and Medrese which were founded in 1249 by Ebül Kasım bin Ali, one of the Emirs of Alaeddin Keykubad. The way in which the medrese is combined with the mosque in this complex is one of the great contributions to the architectural history of Anatolia. Dinner and overnight stay are in Kayseri. We leave Kayseri and continue our journey to Sivas. Today we visit the Şifahiye Medresesi built in 1217 by the Seljuk Sultan Keykavus I as a hospital, medical school and mental asylum. The treatment here of mental patients was very advanced. Music and hypnosis were frequently used by the doctors. The building was later turned into a medrese. The Bürüciye Medresesi was founded in 1271 during the reign of Gıyaseddin Keyhüsrev by a certain Hibetullah Burucerdioğlu Muzaffer from Iran. 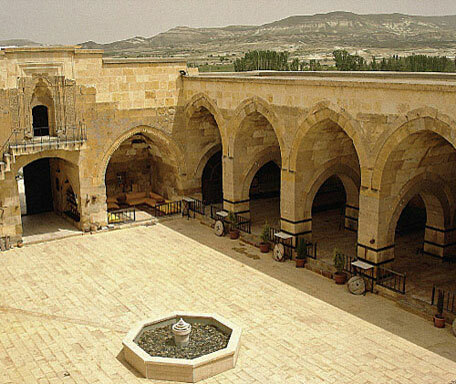 It is now a museum and displays the objects from the Seljuk period. We stop at the Çifte Minareli Medrese, which was established in 1271 by the Mongol governor Şemseddin Mehmed Cüveynî as a school for the study of the Koran and the sayings of the Prophet. 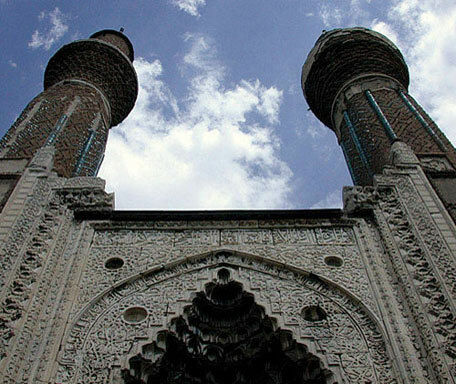 Then we visit one of the most remarkable Seljuk monuments in Anatolia, the Gök Mederese. Gök means ‘heavens’, ‘sky’, ‘blue’ or ‘beautiful’. 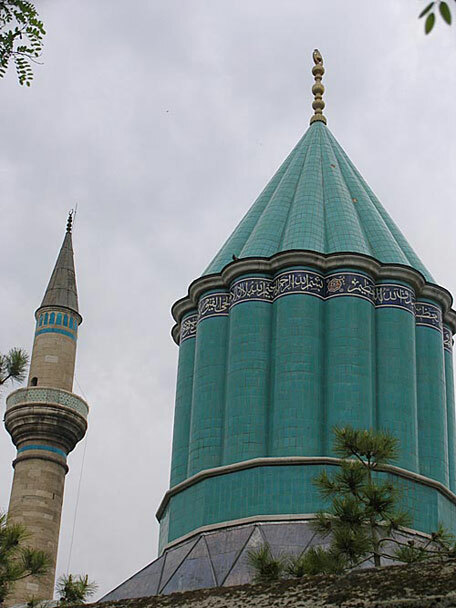 It gets its name from the exquisite blue enameled tiles on its twin minarets built, in 1271, by a Christian architect from Konya named Kaloyan al-Qunewi, for Sahip Ata Fahreddin Ali. We have our dinner and spend two nights in Sivas, another Seljuk center. This morning we are on the ancient caravan route to the Divriği’s Ulu Cami and Şifahane. They were built on the orders of Ahmet Shah and his wife Melike Turan in 1228-1229. The architect was Hürrem Şah from Ahlat. 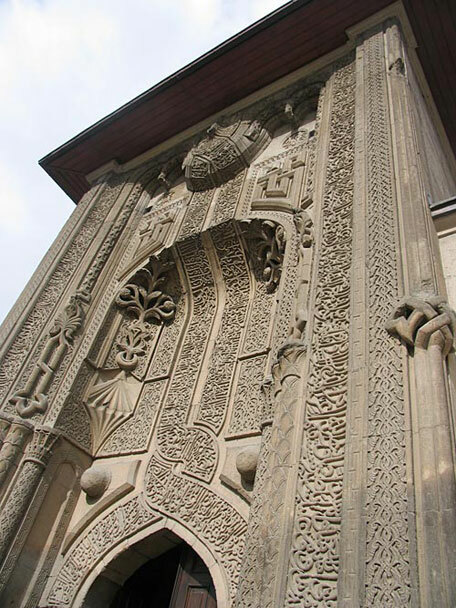 The entrance is created by four portals elaborately decorated with sacred trees, rosettes, ornamental plaques, the double-headed eagle, falcons, floral and geometric designs, reminiscent of Persian stucco and Armenian manuscripts. 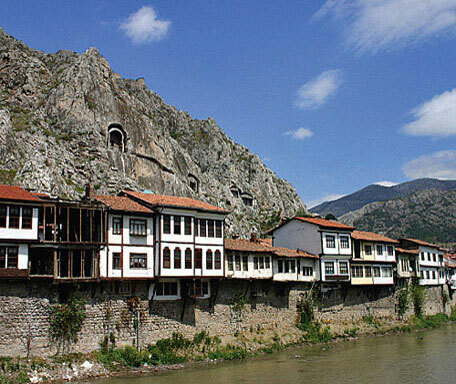 Due to its architecture and stone engravings, they have been included in the World Heritage List of UNESCO. After breakfast we drive north towards the “mysterious city of the crown”, Amasya, and en route stop at Tokat for the Gök Medrese dating from 1277. It was constructed by Pervane Muhineddin Süleyman, a local potentate. Used as a hospital until 1811, it now functions as the town museum. Our journey takes us to Amasya where we can get a better understanding of the Anatolian transition from Seljuk to Ottoman architecture. We first visit the two outstanding türbeler (tombs): Halifet Gazi and Torumtay. The tomb of Halifet Gazi, with its octagonal lay-out, was constructed in 1242 in the name of the Commander of Danişmend. The tomb of Torumtay is two storied, made up of hewn stone on a rectangular scheme and constructed by the governor of Amasya, Seyfettin Torumtay in 1278. 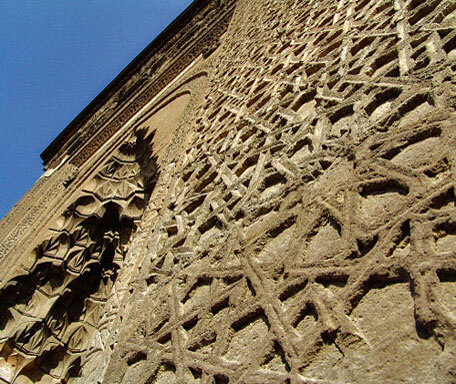 The southern walls are decorated with carpet-weaving motifs of the Seljuk art. This unusual characteristic makes Torumtay Tomb a unique monument. We stroll through the old streets to explore even more breathtaking monuments such as the Burmalı Minare Cami, (twisted minaret mosque) that was constructed by Vizier Ferruh and his brother between the years 1237-1247. The Yörgüç Paşa Cami, (mosque of Yörgüç Pasha) was built in 1428 by one of the Ottoman viziers of Sultan Murad II. 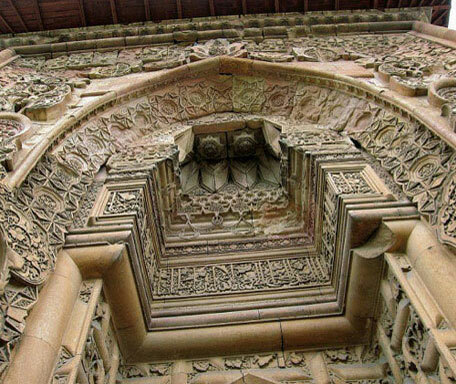 The outer walls of this reverse T plan mosque are made of hewn stones. The pattern of red and white marble on the entrance side of the arches gives it an appealing appearance. 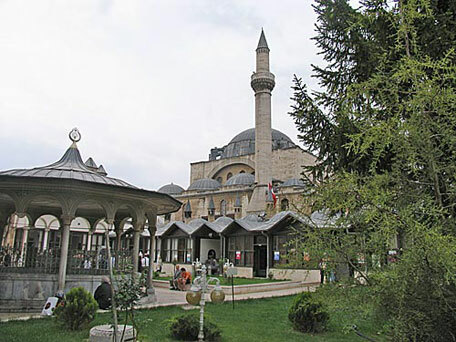 The Sultan Bayezıd II Külliyesi from 1486 was built as a complex composed of a mosque, medrese, imaret (public kitchen for the poor) and fountain. The Bayezid Paşa Cami (mosque of Beyazid Pasha) with its reverse T plan scheme was built in 1414 by the vizier of Amasya. The geometrical ornamentation on the marbles surrounding the last congregation place is one of its most attractive features. The Bimarhane (asylum) was constructed between the years 1308-1309 in the name of the Ruler of İlhanlı, Sultan Mehmed Olcaytu and his wife Ilduz Hatun. Afternoon is leisure. Dinner is at hotel. Participants are transferred to Atatürk International Airport to board their return flights. The itinerary involves a good deal of walking. Good comfortable footwear is therefore essential. It should be pointed out that the tour might not be suitable for passengers who require assistance or who have difficulties with mobility. Please make sure you enjoy walking, hiking, good local food and cultural interaction.